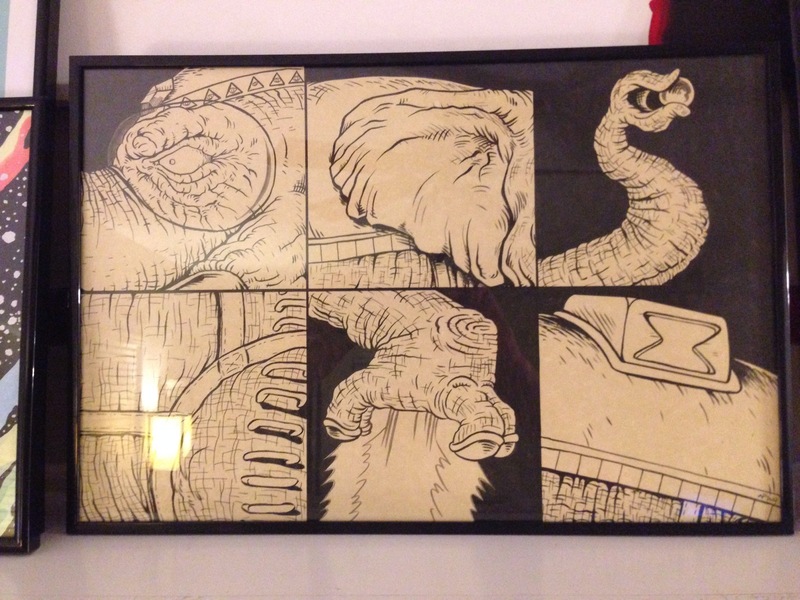 My four pieces (three prints and one original drawing) for the August-September show currently on display at the Johnston Public Library. See them in person until September 28, 2014. Reception will be held on September 13, open to the public. Check out the new DRAWINGS FOR SALE page to find out how to purchase prints or even original artwork from N. Pendleton’s studio. 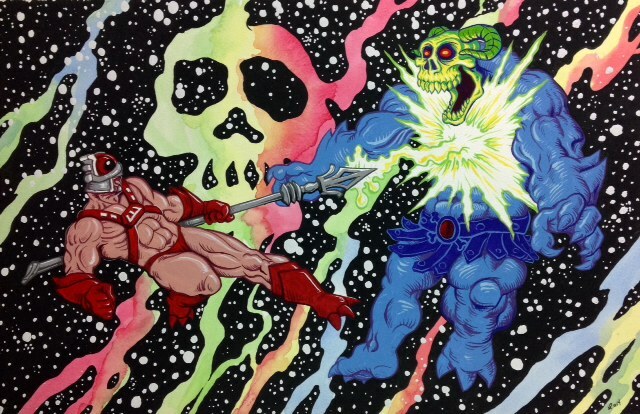 My painting for the July 11, 2014 TOON’D IN “GRAYSKULL POWERED!” art show contribution. 17″x11″, gouache and watercolor on illustration board. 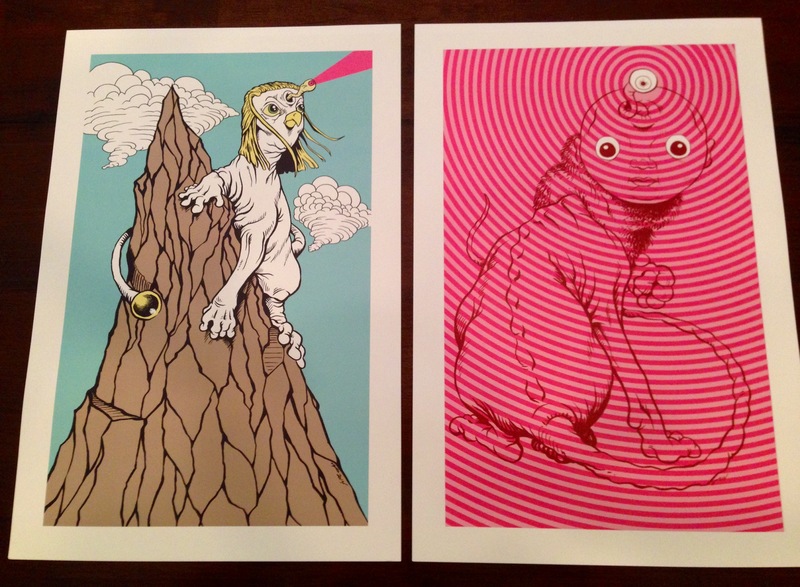 Original art on sale July 11, 2014 at 7:00 pm CST. $60.00 + shipping. In-person offers given first consideration. Prints will be made available upon request. 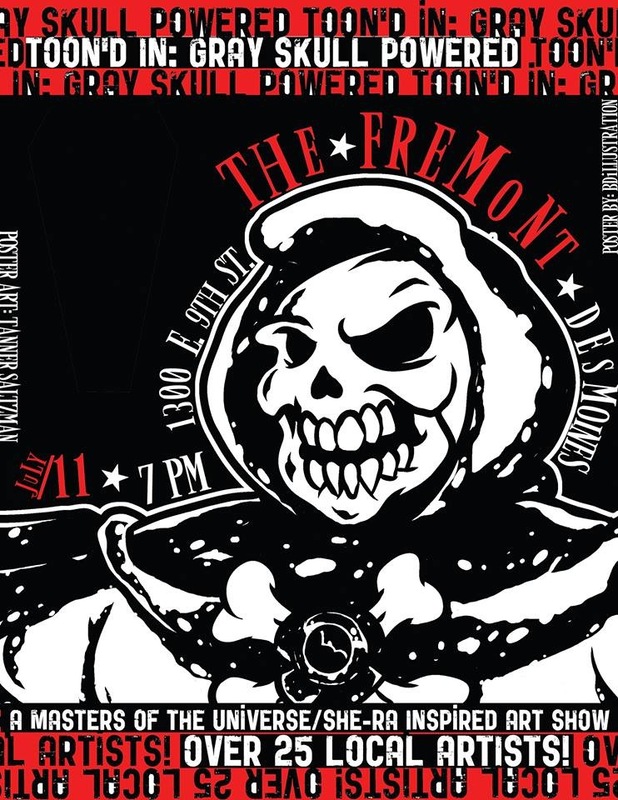 Join us Friday night July 11 for a Masters of the Universe-themed art event – one night only! 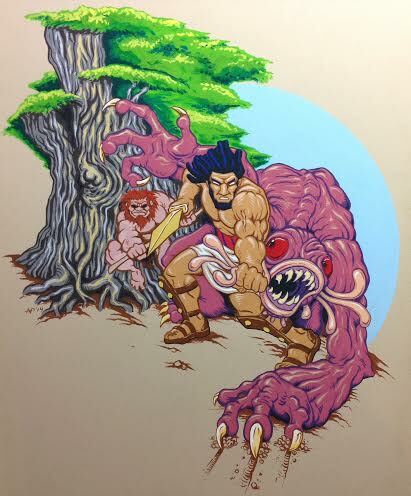 My illustration, “Before Grayskull” will be one of the many feature works at the show! 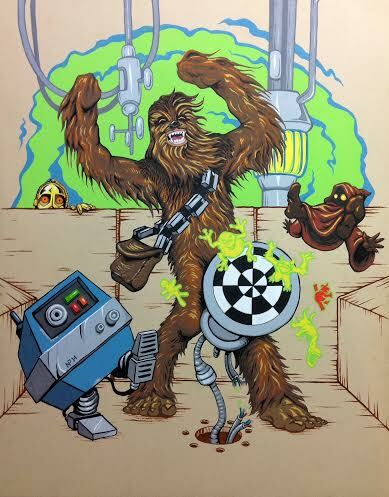 Painting to be displayed in the Star Wars art exhibit this Sunday at the Science Center of Iowa. From The Epic of Gilgamesh. 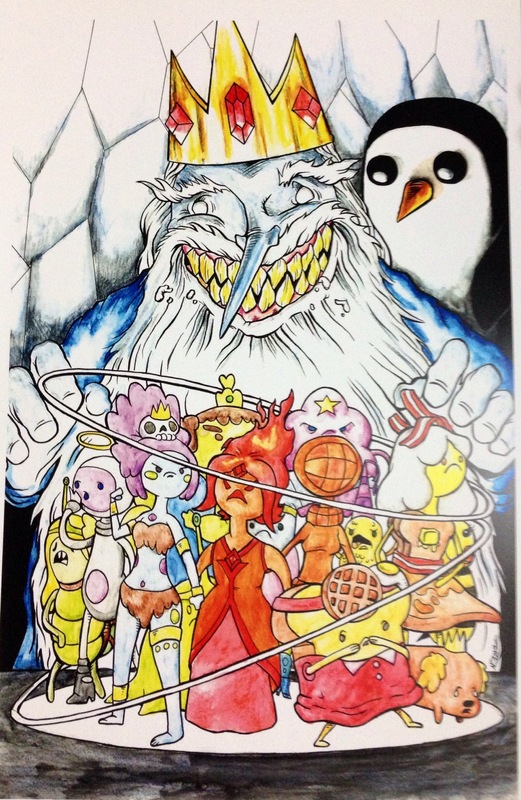 Appearing at the MONSTERS ROBOTS HEROES gallery show from May 3 through 31, 2014.